Ladue drivers eyeing a new family SUV to suit there needs will find exactly what they need with the Mercedes-Benz GLE. This exceptional SUV comes together through fantastic performance and top-of-the-line features and amenities like a rearview camera, available rear seat entertainment, and active braking technology. Whether you’re looking for a dependable performance SUV or an efficient, safe ride for your family’s trip out of Collinsville, the GLE has you covered. 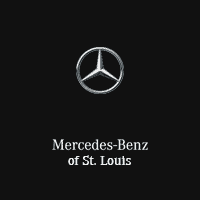 Visit Mercedes-Benz of St. Louis today to learn more, or give us a call if you have any questions. See who wins in the luxury SUV showdown between the 2018 Mercedes-Benz GLE and the 2018 BMW X5 at Mercedes-Benz of St. Louis.